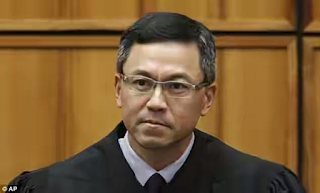 US authorities have revealed that Justice Derrick Watson, the federal judge from Hawaii who blocked president Donald Trump’s revised travel ban has received numerous threats against his life. FBI spokeswoman Michele Ernst said Thursday that the agency is aware of reports of threatening messages against Watson, who presides over cases in Hawaii, and is prepared to help if necessary. The US Marshals Service, responsible for protecting federal judicial officials, flew in about a dozen deputies from the mainland to provide Watson with 24-hour protection. Barely hours before Trump’s travel ban was due to go into effect on March 15, justice Watson blocked the federal government from enforcing its ban on new visas for people from six mostly Muslim countries and its suspension of the nation’s refugee program. The US president was irked calling Watson’s ruling an example of “unprecedented judicial overreach” and said his administration would appeal it.